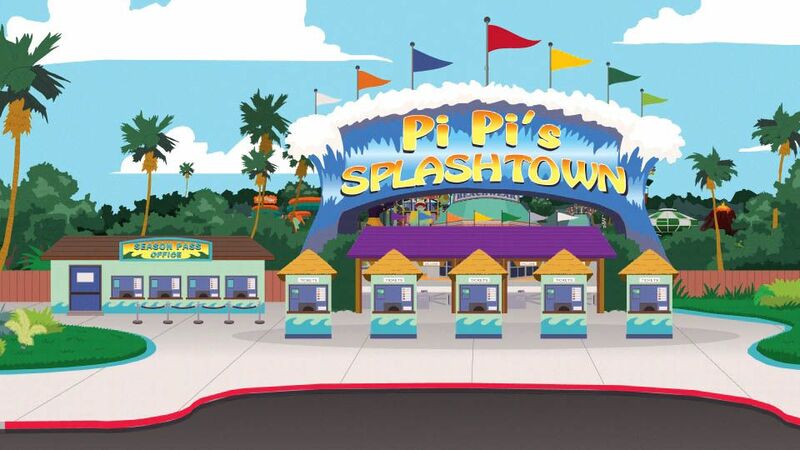 The kids are really excited to spend the day at PiPi's Splash Town. But things at the water park are not at all what they seem. Events are in play that signal that the end of the world is upon us. Disaster strikes and the boys are in a race to survive. Meanwhile, Cartman tries to warn everyone that there are too many minorities in the wave pool. The series' appearing main characters are Cartman, Kyle, Stan, Kenny, Butters, Jimmy, and Randy. The only named minor character introduced in this episode is Mr. Pi Pi, the park's owner. During the final scene, a Visitor can be seen to the right.